Dear Aliza: It’s Easier Being Black in Israel. NOT! I get such great letters from readers and I’m going to try to post more of them up here. Here’s a good one! A good friend of mine recently sent me a link to “Funny, You Don’t Look Jewish” and it blew my mind. It stirred up feelings in me that I haven’t felt in a long time, and I felt like I could have written most of the article myself. I’m black, and black American Jews are not so common in Israel (or anywhere?). I’m first-generation American in my family, like you. And like you, I grew up as a not-so-religious Catholic in a place heavily populated with religious Jews – Teaneck, NJ. I converted about 4 years ago. 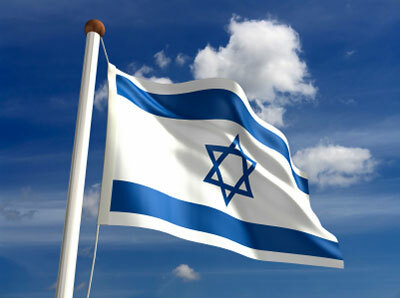 I now live in Israel with my husband and kids. It’s hard, sometimes, sticking out so much. We recently moved to a small yishuv, and people have to get used to the sight of me (and my kids). It takes a while, and can be really frustrating. It makes me ashamed that I’m a convert sometimes, which is sad. The last time someone asked me if I was Jewish, I said “I was born Jewish,” which, in my mind, is sort of true, since I was reborn in the mikveh (ritual bath). I was just fed up. It was a Rebbetzin (rabbi’s wife) who asked! Previous Post IN SEARCH OF RICE AND BEANS! Listen, humans tend to behave like wild animals most of the time. Although I am against violence, if someones tries to offend me or ridicules me, I will insult them so they can feel my pain (e.g. do you worship Hashem or an idol… Hashem's children do not behave like you do). Once they learn their lesson, they will not do it again. A person who does that all the time like that Rebbetzin is a coward and does not know how to behave in a social setting, and is obviously ignorant and racist. Be strong, remember nobody can make you inferior without your consent. By the way, there are many rebbetzins out there who are she-wolves and do not know the meaning of love and do not know what their position entails. Haztlacha!